Losing a loved one is hard. We are here to help. When a loved one passes away, sometimes his or her heirs do not get the full inheritance to which they are entitled. As you cope with your grief, you also have to think about how the estate is to be distributed per your loved one’s will or trust. There are so many issues that can arise in the loss of a loved one. Often not knowing what happens next is the hardest part. If you’ve recently lost a loved one and need help with what to do next, we may be able to help with the California probate process or trust litigation. If you’ve been appointed trustee, executor or administrator of a trust or will, you may be overwhelmed by endless paperwork and deadlines involved in settling an estate. You want to be sure that any necessary court-related documents are drafted in fair, unambiguous language that won’t leave you vulnerable to costly probate or trust litigation. Most of all, you want to act in the best interest of those set to inherit from the estate. 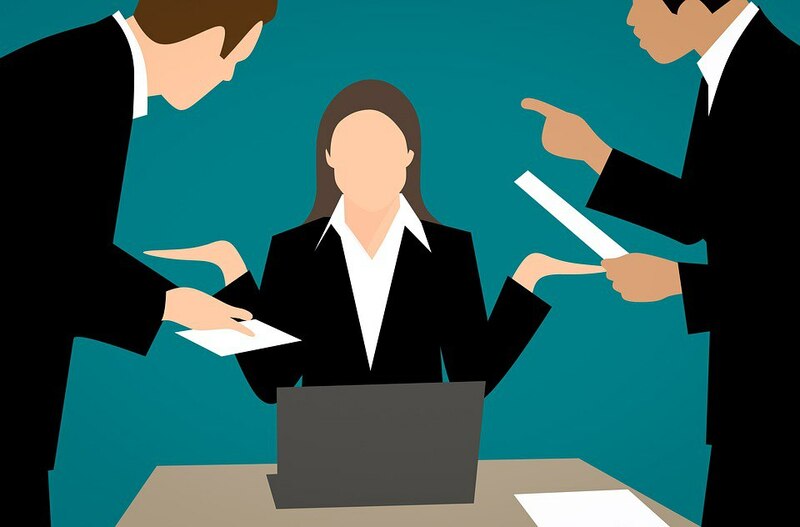 However, an absent or ambiguously worded will or trust may create complications that leave you in need of guidance through the process. As a beneficiary or heir, you might feel that your loved one’s last wishes are being distorted or ignored. You may be concerned that the individual distributing the estate is damaging property, mismanaging or stealing assets, or acting in a way that will harm you or another beneficiary. You might suspect that official documents have been altered or forged and not know what to do. Whatever your situation, tensions are running high and time is of the essence. You need the services of an attorney experienced in probate and trust litigation law, and you need them now. The Grossman Law Firm exclusively handles probate and trust litigation cases. 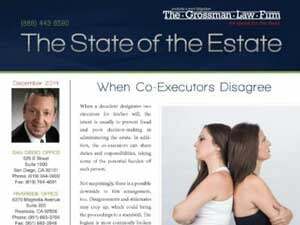 The probate and trust litigation attorneys at The Grossman Law Firm exclusively focus on estate-related casework. Working with probate court requires specialized and evolving knowledge of the field. 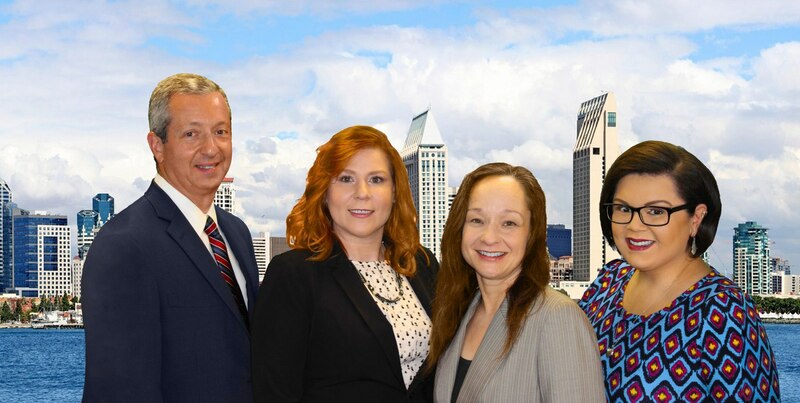 We have over 19 years of combined experience in the field and have established relationships with probate courts throughout Southern California. Let us give you our highest standard of professionalism and expertise when you need it most. 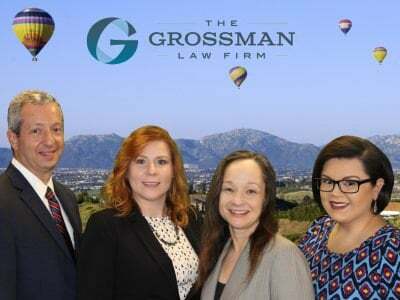 The Grossman Law Firm puts our clients first. Losing a loved one is painful enough. Let probate and trust administration attorney Scott Grossman ensure your case is handled with the utmost consideration and skill. Call the Grossman Law Firm at (951) 523-8307 or (888) 443-6590 for your free 30-minute telephone consultation. 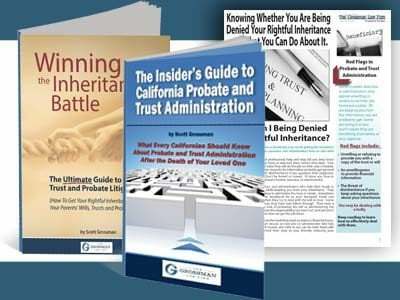 For more information, request our free guides to California probate and trust litigation, Winning the Inheritance Battle: The Ultimate Guide to California Trust and Probate Litigation and The Insider’s Guide to California Probate and Trust Administration. These valuable guides contain crucial information you’ll need to know while settling a loved one’s affairs. Very Knowledgeable Staff, thank you for listening.